Dear community! We are happy to introduce a great news. In our project's live great event recently happened. Today our office have attended Yu-Kai Chou, famous pioneer of gamification. With SandCoin's CEO they talked about the future of the SandCoin project. During the meeting, they also had a discussion about the blockchain technology. Yu-Kai Chou known as an author of Actionable Gamification, a system designed for motivation increase. He is also lecturing at Stanford University and TEDx conferences. Dear community! In our project's live some great event recently happened. Today our office have attended Yu-Kai Chou, famous peoneer of gamification. With SandCoin's CEO they talked about the future of the SandCoin project. During the meeting they also had a disscuccion about the blockchain technology. 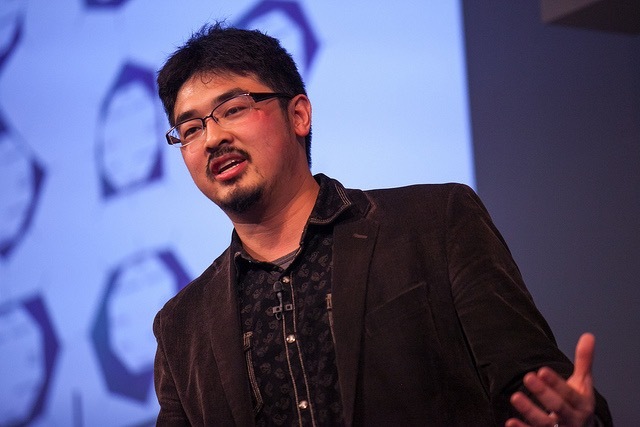 Yu-Kai Chou known as author of Actionable Gamification, a system designed for motivation increase. He is also lecturing in Stenford Univrsity and TEDx conferences. В жизни нашего проекта произошло значимое событие. Сегодня в офисе SandCoin's CEO Руслан Пичугин встретился с главным специалистом по геймификации Ю-Кай Чо. В ходе встречи они обсудили будущее проекта SandCoin и пообщались о блокчейне в целом. Ю-Кай Чоу известен как автор схемы анализа восьми ключевых факторов мотивации человека. Пионер и титан геймификации так же ведет лекции на конференциях TEDx и Стендфордского Университета. Его мотивационная программа известна по всему миру.